ISO/IEC 20000 is an international standard for Service Management. ISO/IEC 20000 specifies requirements for an organisation to deliver quality services. The requirements serve as a standard for conducting an independent audit. ISO/IEC 20000 is standard that is independent of frameworks and tools. 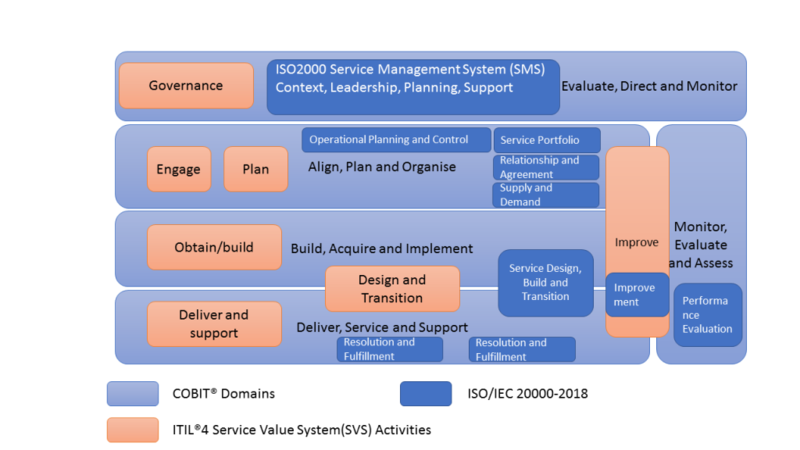 The context diagram shows how ISO 20000 relates to the the ITIL and COBIT frameworks. ISO/IEC 20000 is first published in 2005 and has been undergoing periodic revisions. The industry adoption is not as high as ITIL as the standard is intended by used as an audit tool. Many organisation may not require a formal audit need. As the standard is framework agnostic, there are no specific tools built around ISO/IEC 20000. There are formal training and certification for individuals available to become a certified auditor. The Life Cycle context of ISO/IEC 20000 is shown in Figure 1. 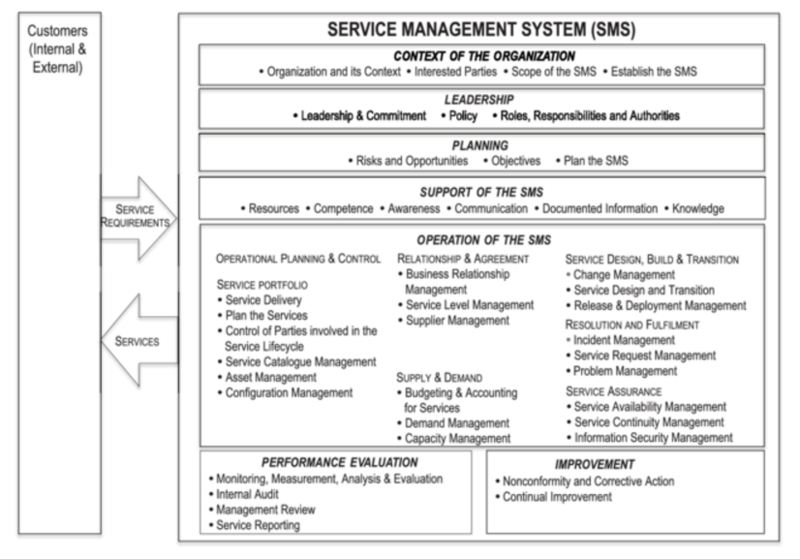 ISO/IEC 20000 encompasses a wide variety of IT Service Management skills. In addition Quality Assurance and Quality Management skills are needed for an organisation pursuing ISO assessment.